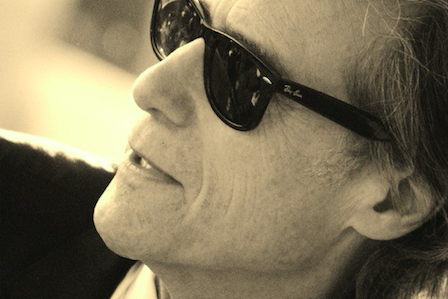 Richard Lewis will be at Helium Comedy Club Oct. 19 through 21. With its dueling insults and endless comic misunderstandings, the friendship between Larry David and Richard Lewis on eight-plus seasons of “Curb Your Enthusiasm” is one of the beloved HBO series’ greatest pleasures. But it’s more than a fictional contrivance. Theirs is a genuine relationship dating back decades. “We were born in the same hospital--[the long-gone] Brooklyn Jewish Hospital--three days apart,” he explained during a recent, shtick-filled phone call. Ultimately, their paths crossed for a third time in their relatively brief lifetimes. “About nine years later, I became a comic. He came into the club and he loved my work and he then became a comic and we became best friends, inseparable. Then one night--I must have had a few drinks after the show--I looked at him in a way that scared him. I said, 'You look very familiar, and there's something about you that's like, satanic. According to Lewis, his involvement with “Curb” began shortly after HBO greenlighted the show’s first season, which aired in 1999 and 2000. Not that Lewis gave David carte blanche to do with him what he would. “I made one demand,” he recalled. But, he added, they have clearly defined roles. “I wear my heart on my sleeve,” he offered. “His heart is nowhere to be found sometimes. It's like hidden in his feet. That's because he doesn't like getting personal. I live for getting personal. When I get personal with Larry, he gets nervous, so I rarely call him with anything personal. As for what fans can expect at Helium, Lewis promised an, ummm, interesting evening. “I don't have an act, I just have a thousand things in my head,” he insisted. “I basically have a nervous breakdown, and hope [people] enjoy it. “If I don't go onstage and tell the audience how I'm feeling, I'm just wasting my time and just getting a check. It’s my obligation” to tell the unvarnished truth. Helium Comedy Club, 2031 Sansom St., Philadelphia; 8 p.m. Oct. 19, 7:30 and 10 p.m. Oct. 20, 10 p.m. Oct. 21; $38-$25; 215-496-9001, www.heliumcomedy.com.